We welcome two new members to the team this month. Emeren works as a freelancer in the 3D industry and will be working on existing and new 3D models. Daveod06 is a map creator and will be bringing his experience of producing several maps for IL-2 1946 into the map team. To me it feels like there is a certain buzz going on within the team. For so long team members have been working their spare time on various labours of love – but now, much is being shared as we progressively move out of the modelling phase (i.e. stand-alone 3D models and textures), and into an integration phase (i.e. importing the new data items into the game). For many, it is the first time we’re starting to see completed work in all its refinery and there is a lot of positive feedback going on. We remain on track to our internal schedule and confidence and morale remain high. The team continue to stabilise the Map Editor and have done some tremendous work. The all new Tobruk map has been imported into a development build and we’re starting to fly around above it. The sad news is that I’m not going to show it off in this release. Why? Well we want to refine the textures and get some more objects populated on it before we showcase it e.g. airfields and buildings. There is also the matter of the sea… which needs to be changed from mucky English Channel colours to lovely rich Mediterranean blue. - CR42 cockpit 3D and textures complete. Importing almost complete. - Bf-108 3D and textures complete awaiting import. - Bf-109F-1, 2 & 4 imported and awaiting cockpit texturing re-work. 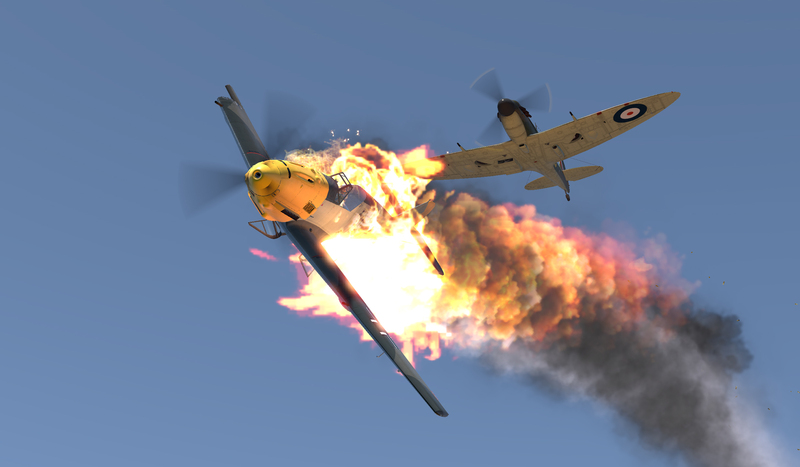 - Spitfire IIa 3D and textures complete, import complete. Internal animation and test in progress. 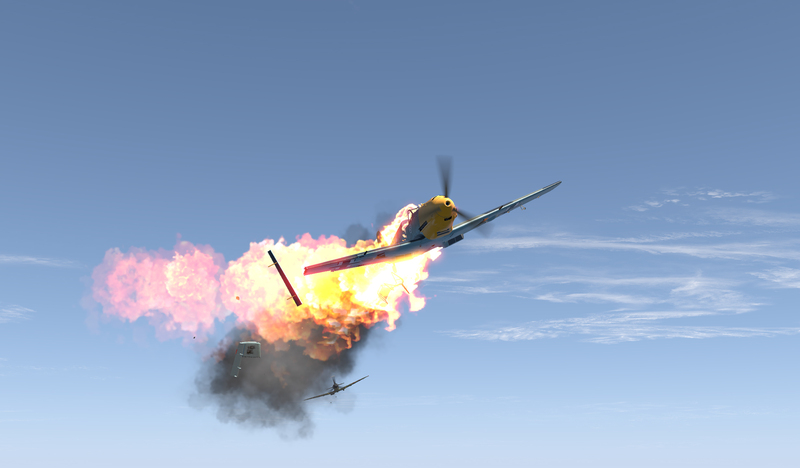 - Spitfire IIb 3D and textures complete, import complete. Internal animation and test in progress. - Spitfire VA 3D and textures complete, import complete. Internal animation and test in progress. 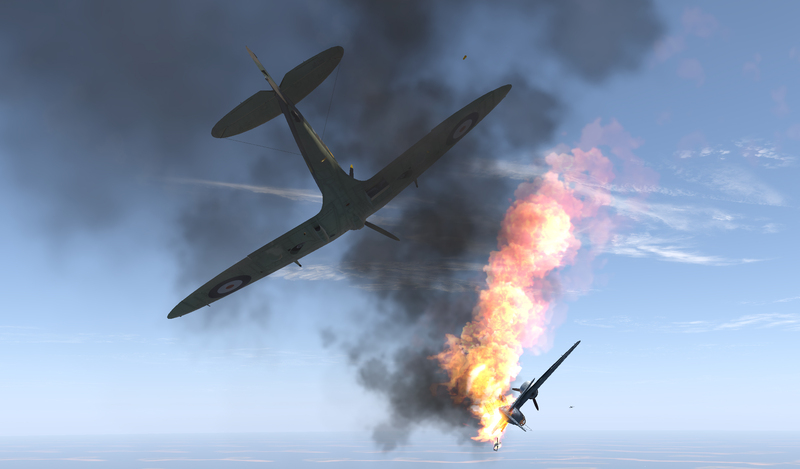 - Spitfire VB 3D and textures complete, import complete. Internal animation and test in progress. - P-40B/C Tomahawk 3D modelling almost complete. Texturing phase has started. - P-40E Kittihawk 3D modelling almost complete. Texturing phase has started. - Macchi C-202 cockpit 3D modelling almost complete. - Macchi C-202 external model 3D modelling underway. - Dewoitine D.520 3D and textures complete, import in progress. - Hurricane IIA 3D modelling and textures complete, awaiting import. - Hurricane IIB 3D modelling and textures complete, awaiting import. - Hurricane IIC 3D modelling and textures complete, awaiting import. - Beaufighter Mk IC awaiting import. - Wellington IA turrets 3D, texture complete and imported. Cockpit/Bombardier positions 3D and textures almost complete, awaiting import. - Wellington IC turrets 3D, texture complete and imported. Cockpit/Bombardier positions 3D and textures almost complete, awaiting import. - Wellington IC external 3D details underway. - Martlet III external, cockpit 3D and texture just about complete, awaiting import. Work is underway with re-writing the AI command GUI to fix the errors and mistakes which were there. In addition, work is currently be done on addressing certain AI combat routines. Bug #749: Overheated cooling system shouldn't blow the radiator. Q1. If v5.0 is a success and a v6.0 is planned will there be aircraft carriers? A. We would like to introduce Carriers in TF 6.0 yes, but it does depend on the success of TF 5.0 and whether we can continue our development efforts. Q2. Do you have an idea of the price range? A. Not at this time. Pricing will be determined by 1C. Q3. Can the next update maybe show some new effects and maybe a selection of new aircraft, especially as there are so many to choose from? Q4. Why are you including a Bf-108 Taifun? A. 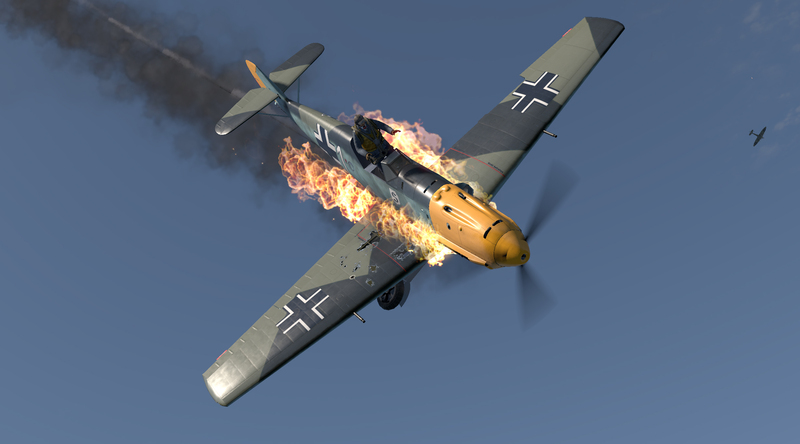 We include the Bf-108 Taifun because it was one of the first test attempts by TF to get new aircraft cockpit i﻿nto the game prior to us signing with 1C and receiving the source code. Since we had already done the work, it made sense to include the aircraft in TF 5.0. It will stand as an intermediate trainer and can be flown by two people online. In addition, it was used by Rommel as a “Desert Taxi” so could be used for some interesting missions. Q5. Can we have a bigger map area that have a navigation challenge? A. At the moment there is a size limit for maps of approx. 400 km X 400 km. (we may look at increasing this for later maps) The map we are creating for the TF 5.0 "Tobruk" is based around the November 1940 to May 1942 period and covers the major areas where combat occurred. Q6. Pilots in 109s had the option to close the right or left radiator flap manually with a cable down at the right and left leg. Could this ever be an option? A. Pilots flying 109F's will have option to use either manual or auto rads. They will also be able to shut off one rad completely if there is a leak in that rad... this will keep the fluid in the other rad contained. Q7. Any chance of a work in progress video of how the modelling work is done for a ground vehicle/object so people can appreciate how much effort is required in making one from the ground up? A. Certainly. This video shows Yotheguy at work on the Macchi C-202 cockpit. Even though it is sped up it hopefully illustrates just how complex and time consuming this aspect of the work is. Where we don’t have original drawings, additional work is required to determine accurate object measurements and sizes from photos. This is obviously just one part of the development process. A huge amount of effort also goes into ensuring accurate high-fidelity flight models, damage models and ballistics. Q8. Any plans to improve the sound quality? A. Yes, among other improvements, new engine sounds are currently being worked for Daimler Benz, Hispano Suiza, Pratt & Whiney and Allison engines. Also, on the subject of sound, with the introduction of flyable French and Italian aircraft we are also recording new voice packs. Q9. 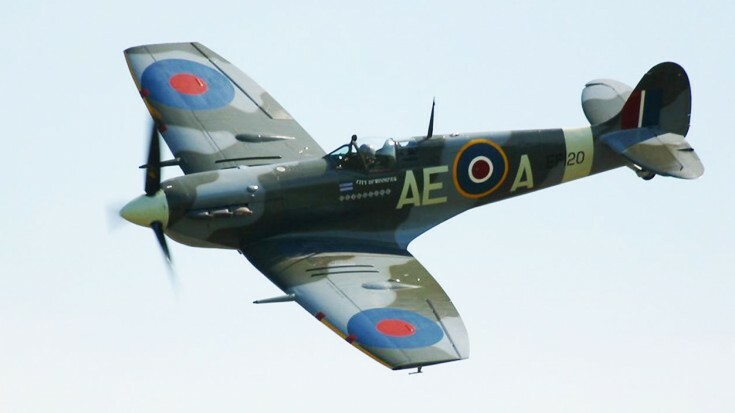 Regarding the movement of the Spit and Hurri on the ground whilst taxying, would it not be important to rectify the existing problems now (and try to instil some confidence in TF5), rather than wait until TF5 I released? A. Doing additional releases does take up additional effort and there is always the question of where we would draw the line. There is much work to be done and our focus needs to be to deliver TF5. As stated previously, we continue to work on the flight models all the way to the point of release to deliver the most accurate simulation we can. Q10. Will future updates to Blitz be free or will it require a purchase of TF5 to get updates? A. To fly the Tobruk map and the new planes will require you to purchase TF5. Patches and fixes made to the core game engine, (for example, improvements to AI behaviour) will be available to existing owners of TF4.5/CoD-Blitz free of charge. Q11. TFS has been promising so much yet nothing seems to be forthcoming. Can we see some improvements to Blitz now – even if it is to show the customer base are being listened to? A. We hope that through these regular updates you can see what the team are working on, but otherwise the response to question 9 also applies to this. Through these updates I do hope to show that the team is listening and responding as best it can. If for example there is something specific you want to see, I can try to capture it and show it within these regular updates. Q12. The law in Germany is changing which means that swastikas are to be allowed. Does this mean that v5.0 will be able to use accurate markings featuring swastikas? A. To ensure the game can maintain an international distribution (e.g. Russia), it is necessary to continue to avoid the use of swastikas in all aircraft markings. Q13. How hard would it be to implement Nvidia Ansel? A. It would need to be assessed. Right now it is not in our planned scope of work. Q14. Have the coding team been able to do any work on Anti-Aliasing options? A. Yes. It is something we are working on as part of game engine improvements. Thank you for your continued support, patience and understanding. Last edited by Bonkin; Sep-10-2018 at 15:48. Out of all of the questions this is probably the most imporant, of course I will buy the expansion but this is good as to not split up the community into 2 totally separate games. And the rest of the stuff looks great too! Super excited to fly the Spit with cannons. Of course I still think the fire effect and venting effect are inferior to the 4.3 versions but it's hard to please everyone. Keep it up TF! Thanks for posting another comprehensive update Bonkin. Additionally thanks to the TFS team for everything they are doing. It is very much appreciated. Have to echo Flare as well the 'Spitty' with cannons......lovely! Very nice update, thank you! What a great update ! You do this so well. Brilliant stuff! I hope the +16lbs Spit V has the pointed Rotol prop, fishtail exhausts and wing fences though . Yes it does... you were looking at a Spit IIB in the video, it was the first imported and therefore Bonkin used it for the video captures. There will not be clipped wing types and the Merlin 45M/50M engines till we get to the next module. For this module, we include the Spit VB with the Merlin 45 at +12 and +16 boost and the high altitude Merlin 46 at +12 and +16. Last edited by RAF74_Buzzsaw; Sep-10-2018 at 17:16. Wonderful news I'm so happy with the teams attention to detail it really is pleasing to a Spit buff! I feel I'm too critical sometimes but really, this is all so genuinely beautiful and I'm really looking forward to getting my MP fix since WOTR has come out. Awesome stuff thanks for sharing! All the cockpits look amazing as does the Macchi 202 3d model! S! Can't wait to see the flames in action. The trailing smoke looks gorgeous! TFS! Thank you for the great work lads. I know nothing about their performance, but the Macchi certainly looks fast! I must thank you for another Bonkin great update. Welcome to the two new TF members and tip of the hat to all of TF for your hard work and attention to detail. "It's not pretty. It's not "your girlfriend". It's not comfortable.....but it is extremely cool"
It all looks and sound great . Lots of very hard work no doubt and very much appreciated by all I'd say . So close now you can almost taste it . Intel i7-6700k 4.00GHz , 850w PSU , GeForce GTX1060 6GB GPU , 16GB RAM , Acer Predator Z35p Monitor , TrackIR5 , Thrustmaster Warthog H.O.T.A.S , Saitek Pro Flight Rudder Pedals . All this great stuff coming our way. Have you all gone stark raving mad ???? ........did you miss the Beaufighter with BOMBS???? I was just busy drooling since I saw it. Will we see a single rad damage on the Bf 109 E aswell? Just without the option to shut one off? Both rads spraying water while only one was hit seems so weird. Thanks to the two new TF members. We all appreciate your involvement. Thanks to my mate Yo for putting together your clip. Doing a great job Bonkin. I sincerely hope you are all getting similarly positive reviews on the other sites you are posting to, as you all deserve to. Thanks for taking more of your valuable time to share this with us! It all looks really exciting and the Community has so much to look forward to! (Go, Yo.....the Man!) Salute All! It runs an Alfa-Romeo licence built version of the DB601Aa that we currently have featured on the /B model 109s (well except for the E-1/B). Speed-wise as it's a very clean design it should be comparable to the early Friedrichs (F-1/2) and the Spitfire Mk.V at +12lbs boost, the Spit V at +16lbs and the F-4 especially however will both leave it in the dust. Armament will be its biggest shortcoming however as the C.202 was at best only armed with a pair of 12.7mm MGs in the nose and a pair of 7.7mm MGs in the wings. Early production series were even limited to just the heavy MGs. There were a handful of experimental aircraft fitted with 20mm MG151/20 gunpods but their performance hit was just too high so those never saw use on a production aircraft, let alone in combat. It wasnt until the C.205 that the Macchi fighter received cannons and even then only starting with Series III. Earlier Series I aircraft still had the same mixed MG armament as the C.202. Last edited by JG4_Karaya; Sep-11-2018 at 07:12. No didn't miss it Sp00k but was so overcome by it all that I failed to mention it mate. Yes this work has already been done. It just wasn't in the build that I used for the video. Edit by Buzzsaw: Sorry, not the case, 109E did not have this function. Last edited by RAF74_Buzzsaw; Sep-11-2018 at 17:52. Bomb drop bugs in He 111 and Ju 88? Ju 88 A-1 automatic propeller pitch control function fix? Linking Ju 88, He 111 and Bf 110 heading indicator and repeater compass? Bugged Ju 88 A-1 rotating track for machine gun? Reversed Ju 88 A-1 "Kursgeberrose"" and "Kursrose"? Missing Ju 88 A-1 Prop Feathering (Segelstellung)? Ju 88 A-1 adjustable propeller switches? Ju 88 A-1 dive break indicator? Missing Ju 88 A-1 Bosch horn warning sound? Ju 88 A-1 Landing Lights & Navigational Lights? Ju 88 A-1 LotFe, Autopilot nodding in mode 22? "Feathering works correctly in v4.53. Possible to maintain 300kph in level flight on one engine with other engine feathered down. No, the 109E did not have this function... it was added in the 109F and later models. Buzz the question is not if you can shut it off on the 109E. We all know you cannot. The question is if both rads will leak if one rad is damaged. The answer is no. This has been fixed also for the 109E. If left rad is hit the left rad will leak. If right rad is hit the right rad will leak. The difference for 109E is that you will not be able to isolate the leak as you will be able to do on the F series. Last edited by Kling; Sep-11-2018 at 18:59.